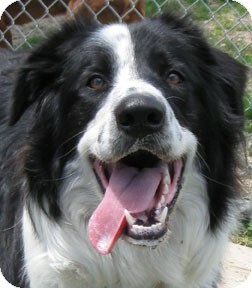 Dixie was a mix breed, thinking back, she likely had some border collie in her shaggy black and white body, for my sister and I, she was our constant companion and guardian. I was no older then 6 when Dixie followed my sister across the road and pushed her out of the way of an oncoming truck, taking the blow and losing her life. This memory is likely my earliest, and certainly one that forged my entire life to live with dogs. Dogs, it seems, or their early relatives, decided to live with humans some time early in our evolution. Once humans accepted dogs as a companion, we quickly noticed the behaviors and talents of each individual and began to take advantage of traits that we could use to help us survive. The strongest and most powerful hunter among the pack, were taken on hunts, while the best guardians, were left at home with the family. And so began humans exploitation of breeding dogs that suits our needs. That’s right.. Every k-9 breed known to mankind is a designer dog and was bred from mixed heritage to create the perfect dog for the needed purpose. This list includes everything from lap dogs to police dogs, therapy dogs, herding dogs, retrievers, and trackers, every shape and every size. And to top this off, there are many breeds of dogs that are only around in this day and age due to the amazing advancements in veterinary medicine and the easy ability to preform c-sections on dogs whose conformation or build make it hard for natural whelping. Besides the inability of natural birthing, the breeding of some excessive traits has left some breeds with issues of physical soundness and some with psychotic tendencies. All registered breeds of dogs are judged by a breed “standard”, a written description of what the perfect specimen should look like. Inbreeding and selective breeding of pure-bred dogs is designed to accentuate certain physical features, like short legs in corgis or short square noses for Boxers. As these dogs are bred, issues often arise, like over crocked legs that cause unsoundness and pain or short noses that cause difficulty breathing. Almost all breeds have some sort of issue, and if it is not physically evident, it can be a propensity to have heart problems or ear issues… you get the idea. Combining dogs of different breeds can give you both the strengths and the weaknesses of each parent. 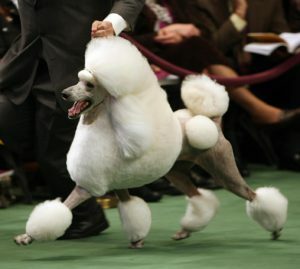 Of the More then 300 standards for dog breeds world wide,, the Poodle remains one of the top dogs for pets although it was originally bred for hunting water fowl. Sadly there are as many non-reputable breeders of dogs as there are reputable, and almost 100% of people that knowingly breed their dogs will plan to sell any excess puppies Reputable breeders, sometimes referring to themselves as Heritage breeders, often claim that they breed their dogs to keep the lines pure, and are generally knowledgeable about their breed. Non-reputable breeders usually know little about genetics and the damage that can be caused when breeding recessive genes (dogs often turn up deaf, blind, or worse), nor do they care about personality or other genetic issues that individuals can harbor. For most of us, it would seem that the breed of our new best friend doesn’t really matter, but there are a handful of important things to consider before bringing that fluff ball home, and sometimes anything you can tell about what breed(s) your pup may be can save you hard decisions later on. Besides considering your pups adult size and activity level, some thought should be directed toward potential problems and health issues that some pure-bred dogs are prone to. With the modernization of the world, many of the jobs that pure-bred dogs helped us with in the past are no longer in existence, and their specialties are no longer needed. But, as our lives evolve with gadgets and machines, and our population increases, it is a natural progression that dog breeds will adapt and change for our needs. 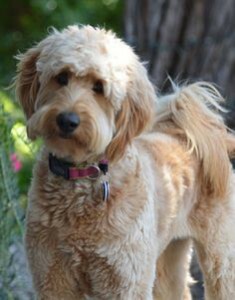 Lets take a look at one of these “Designer Breeds”, the Golden Doodle . What is a Golden Doodle? A Golden Doodle is a dog bred from a Golden Retriever and a Poodle. Both of these breeds are highly intelligent, trainable and athletic , and the resulting puppies usually have traits from both parents; happy, inquisitive and friendly personalities with a strong desire to please their humans. Golden Doodles are quickly becoming a favorite for therapy dogs, search and rescue and sport training like agility, with their calm steady demeanor, and non shedding coats, but, there can be a lot of inconsistencies in any new “designer” breed. Interestingly enough, these new designer dogs often sell for much more then either of the pure-bred parents. A recent mixed breed called a “Miniature Golden Retriever” sells for $4,500.00 or more. A Dog is a Dog is a Dog. As long as people will pay these prices for dogs, either from a “designer dog” breeder, a “puppy mill” or even a “heritage breeder”, dogs will continue to be homeless and end up at pounds. Purchasing a dog for $4,500.00 does not guarantee that your little pup is going to turn into the dog of your dreams or even fit into your lifestyle. Rescues often are no better and there are “breed” rescues that charge 5 or 6 hundred dollars for one of their dogs, often times not even giving the adopter a trial period. Sometimes, if these quick relationships don’t work out, the dog ends up back in the pound hoping another rescue comes along and the process can be repeated, as many rescues do not take back dogs once adopted. So what is the best way to find yourself a new 4 legged best friend with out encouraging over breeding, supporting exploitation or ending up with a dog that is not suited for you? Breeding the best to the best produces puppies that are sound physically and mentally. Does this breed (do your dogs) have any hereditary or genetic issues that I should be aware of? Have your dogs been tested? Of course the mother of any prospective puppy should be available to meet, and don’t forget to ask specific questions about the sire. Is he on site? Can I meet him? or Where does he live? Can I talk to his owner? Why did you choose this dog to breed yours to? Did you breed for temperament? For color? 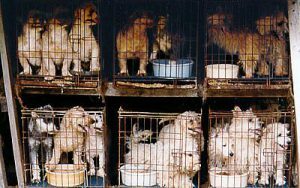 Parents of puppies from puppy mills usually live in small crowded cages their entire life. Avoid at all cost, if you can any puppy mill operators or dealers. 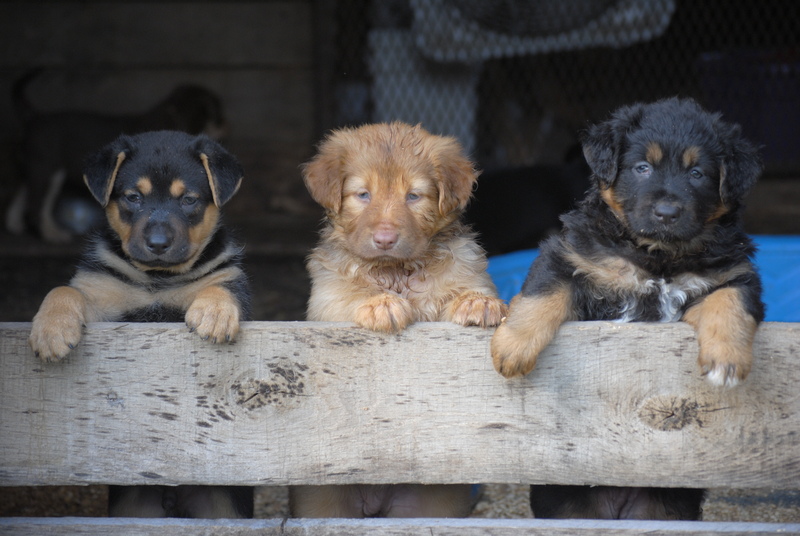 Many puppy mill dealers just deal with small breeds as they are easy to transport and raise in small areas. Every time a puppy is sold from a mill, the parents of those puppies are committed to more of a future of producing puppies and are usually kept in a less then ideal situation. These parent dogs are usually not house pets, but spend their entire lives in small cages, sometimes never getting outside. Often, people who look at puppy mill pups end up purchasing as a rescue mission. This usually ends with lots of vet bills and is of no benefit for the poor parents of these unfortunate puppies that will continue to be bred to supply demand. Rescues work hard. Some are breed specific, sometimes these are organized by breed clubs that care about the pure bred dogs that they love. These rescues often help out when an owner must give up a dog that was sold to them by a club member. 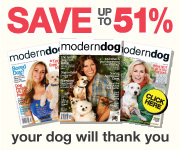 These rescues are a great resource if you want a purebred that is not necessarily a puppy. Puppies from a rescued mom can have many dads. Depending on what part of the country you live in, you will find rescues in different states that are full of the same type of dogs. Here in Virginia, we have plenty of hounds and pitt mixes. 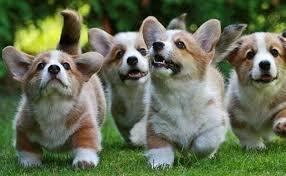 In California, the pounds are loaded with chihuahuas, while in Texas you get a glut of border collies and herding dogs. There are many rescues and great transporters that move dogs to areas where they are more likely to get adopted. Unfortunately, the major problem with many rescues is the lack of a trial period, and often dogs are adopted from just a photo online. The absolutely best way to work with a rescue is to offer to be a foster home. Once you have the paperwork done, you should have a say in which dog you think you can foster. Hopefully this will turn into a foster failure, where you can complete the process by adopting your foster dog. If your foster dog is not a good fit for your family, you have given a dog a new beginning and hopefully you will be instrumental in helping him find that perfect home, while you continue to look for the right fit for your family. Breeders of Designer dogs are no different then breeders of any other dogs. They see a need, and are able to exploit it. Like any breeders, you will find reputable ones, ones that will check for both genetic and soundness issues before breeding, and often these breeders will require purchasers to complete a contract. And then you have the un-reputable ones, who are in it for the money, often overpriced, and who do not care about their puppies future. You will do yourself a great service if you walk away from ANY breeder that does not have the dogs best interest in mind. Those who have not bred the best to the best, even if they are different breeds, will continue to breed dogs that are inferior and will likely pass on genetic and/or soundness issues. Always ask to visit before agreeing to purchase a puppy and ask the same questions you would ask of a pure bred breeder. Although you will find breeders concerned about the creation of designer dogs, designer dog breeders are doing what man has done since the beginning of our relationship with dogs, creating new breeds that suit our way of life. There are far to many homeless dog that are put to death every day in this country. There is no reason for any breeders to breed any dog if it is in anyway inferior. It is the breeders responsibility to breed only the best to the best, and it is our responsibility as the owners and purchasers of dogs to support those who are accountable and responsible breeders. should never be punished for the inaptness of the humans who were responsible for bringing them into this world. I Kissed a Golden Doodle and I Liked it! I Had a Revelation .! I don’t know why it took me so long, but I do know it was meant to be . I met the cutest, sweetest puppy you ever want to meet. He is a very special puppy and his owner has big plans for him. You see his new owner is handicapped, and this little guy is going to be a service dog for her. He will help her move around the house and he will help her pick up things. I am sure this little guy will be a true asset to his new owner and he will be loved by quite an extended family of both two legged friends and four legged ones. So what is my new perception ? 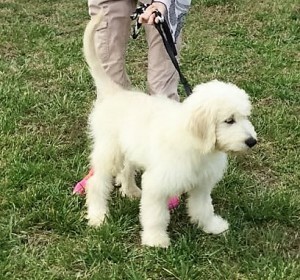 Well this little guy is a Golden Doodle, and if you have read my “adopting a puppy” post you would have seen how I blasted the Golden Doodle along with a couple other “designer” dogs for not being breeds. Now, this little puppy could possibly not be a better breed to accomplish his owners hopes and dreams for him, for with the Poodles intense intellect and the Golden Retrievers gentle, loving, friendly demeanor, I can not find a reason why this puppy should not fulfill his owners every wish. For generations humans have messed around with selective breeding of all sorts of animals. Mostly we have bred animals together that served a purpose for us, or in some way carried a genetic advantage that we could exploit. We bred all sorts of chickens.. some for meat and some for eggs. We changed the genetics of many types of cattle and live stock, for their meat, their hair and their rate of growth, and we altered many types of horses that we used for labor, transportation and sport. We have done no less to dogs. We bred the best to the best, and we got a really fast, biddable collie to help us keep our sheep in order, and we bred a large guardian dog to live with the sheep and protect them.. The list is endless.. Every breed of dog that we have and know of, was developed through selective breeding to acquire the traits that would benefit our needs.. Who am I to say that the Golden Doodle is not the perfect service animal? Certainly, in this day and age, with what we know about how dogs can benefit our health, service dogs are a big necessity. how could you not love this face!? The American Kennel Club recognizes breeds that conform to a “Breed standard”, which means that all the dogs in that breed should look alike, except possibly color, and although the AKC promotes conscience breeding , they do accept new breeds every year into their ranks of Pure Bred dogs. How do these new breeds just appear? Well people with a need create dogs that fill their void, often these are special dogs, bred for a unique purpose in some remote part of the world . The point here is that even the AKC should not be dictating what breeds this 21st century world will need, some old breeds may well disappear and be replaced by breeds that better suit our needs. Point should also be noted that often times dog breeds that are bred to conform to a certain standard often lose their effectiveness for the purpose for which they were originally bred for and, become just pretty show pets. So, I Apologize. I do not mean to pass judgement against any dog used for any purpose that benefits humankind, or anyone’s decision to have what ever kind of dog they would like. Please, just remember to check out the homeless now and again. Almost every breed can be found in homeless shelters, pounds and rescues across the US. Lets not forget the homeless..
Mixed Breeds make great family pets! I know that there are reputable breeders and, there are those breeders that keep their dogs in horrid conditions (the puppy mills), and all sorts of breeders in between. There are just as many reasons for them to choose to breed their dogs, and it certainly is a shame that reputable breeders suffer for the overpopulation of homeless dogs bred by those breeders who exploit their dogs to the point of abuse, just to make a buck. So until this quandary can be sorted out, it is a problem that all of us must deal with, and it is important for us to save these lost and homeless dogs to the best of our ability. It is also important that we educate dog owners and encourage breeders to breed responsibly, encouraging spaying and neutering, and remembering, not to punish any dog, for humans mistakes and ignorance.